This guide shows how to create, edit, and share events with your team. Note: Not all organizations have events enabled. 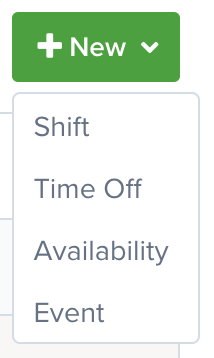 You can enable events from the Settings => Schedule Settings => Events page. To create a new event, go to the Schedule => Team Schedule page and click on any cell in the events row. Or, click on the New button. Then click the Event option. Title This name will display on the schedule. All Day & Date Fields Specify if this event for one day, multiple days, or part of a day. Positions Anyone assigned to the positions selected will be able to see this event. 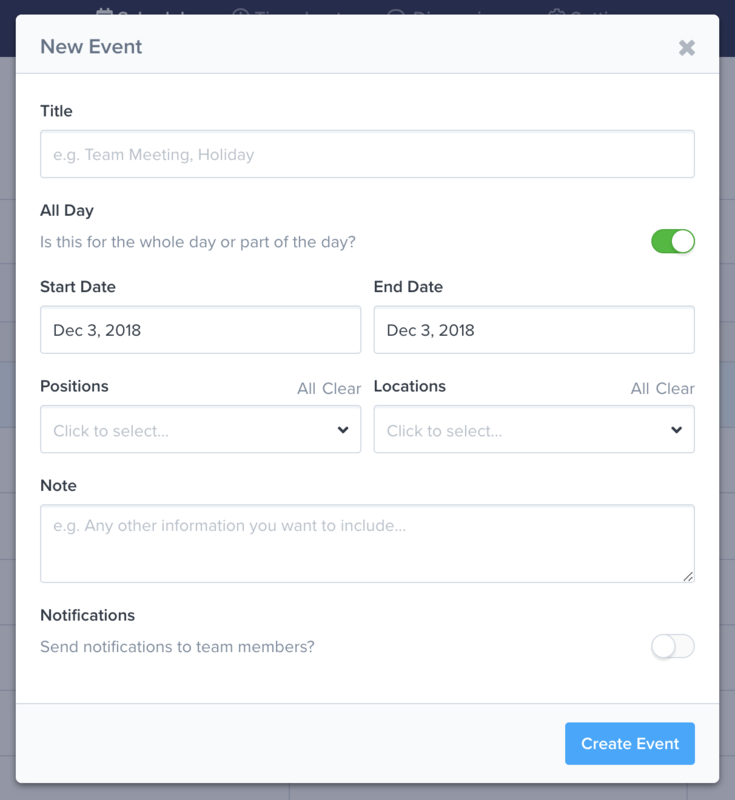 If you do not specify, the event will be visible to your entire team. Locations Anyone assigned to the locations selected will be able to see this event. If you do not specify, the event will be visible to your entire team. Note Are there additional details you would like your team to know? Notifications Send notifications to your team about the event. Once you submit the form, the event will be added to the schedule. If you don't see the event, check your filters and date range. To edit an event, click on it. You will see a pop-up window with a form like the one above. Update the fields and submit the form. To delete an event, click on it. Then click the Delete button.